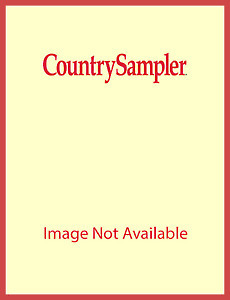 Save 70% off the cover price when you order this special 3-pack collection of Country Sampler's Upstyled Home issues. Look inside for hundreds of innovative and inexpensive ideas for upstyling and reinventing everyday objects. Packed with photos and articles bursting with creativity through simple DIY projects, beautiful home tours, refreshing room makeovers, and how-to lessons for getting a repurposed look. See creative ideas for decorating kitchens, installing architectural salvage and more.Pointers for transforming exterior areas into lovable and livable spaces by repurposing furnishings, fabrics and flea-market items. 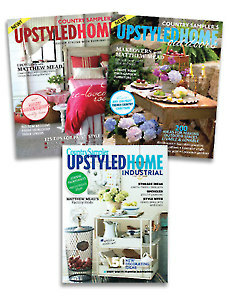 Includes issues: Country Sampler’s Upstyled Home 2016, Upstyled Home Outdoors 2017 and Upstyled Home Industrial 2017. We reserve the right to substitute for out-of-stock items.